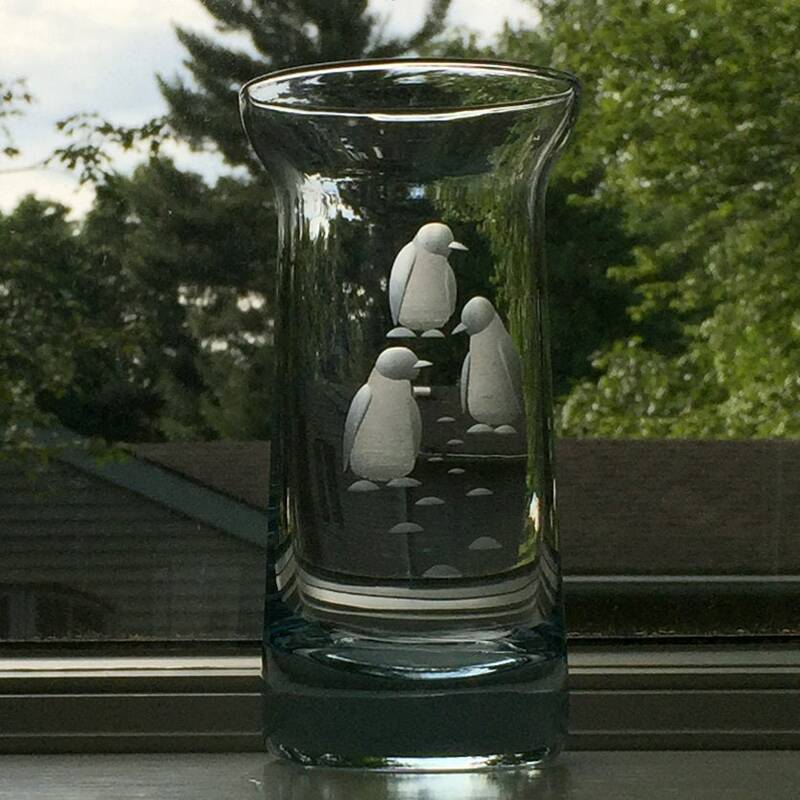 Randsfjord Glassworks created this decorative vase with three engraved penguins in their signature ice blue glass. It was made in the 1970's, but it looks new! 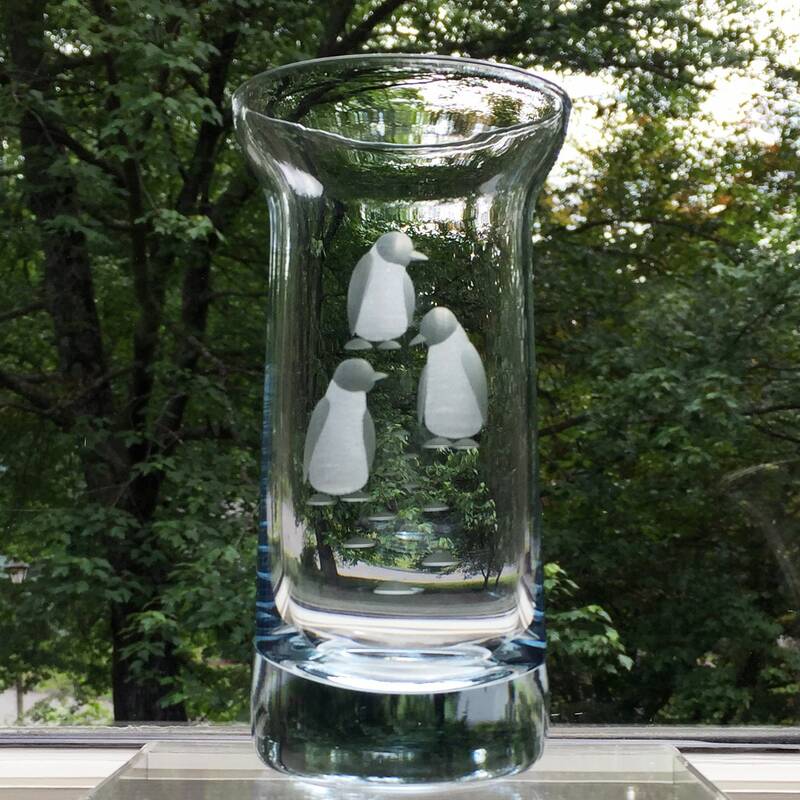 This vase is rather small, 3.25" x 3.25" x 6.25" (83mm x 83mm x 159mm) and it weighs 1.08 pounds (0.49 kg). Randsfjord Glassverk began in 1950, in Jevnaker, Oppland County, Norway. 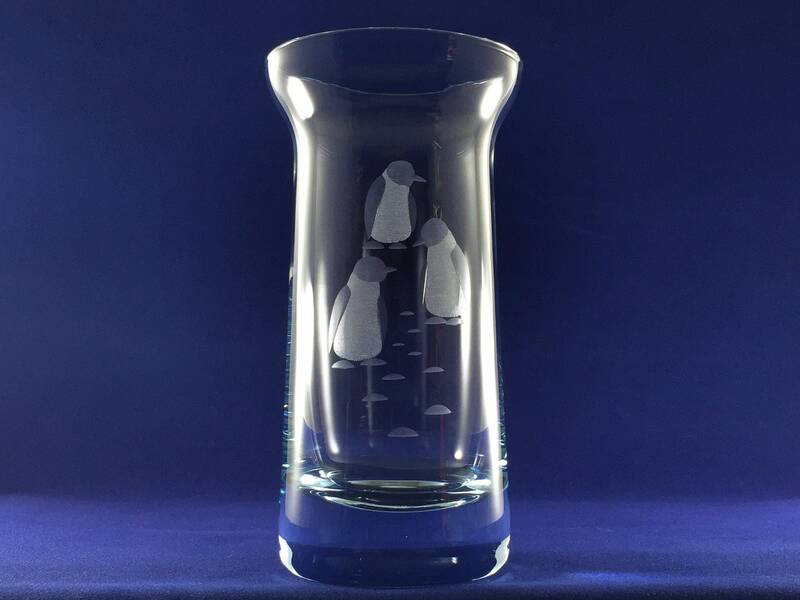 The company first made glass insulators and then everyday glassware, employing engravers and cutters. 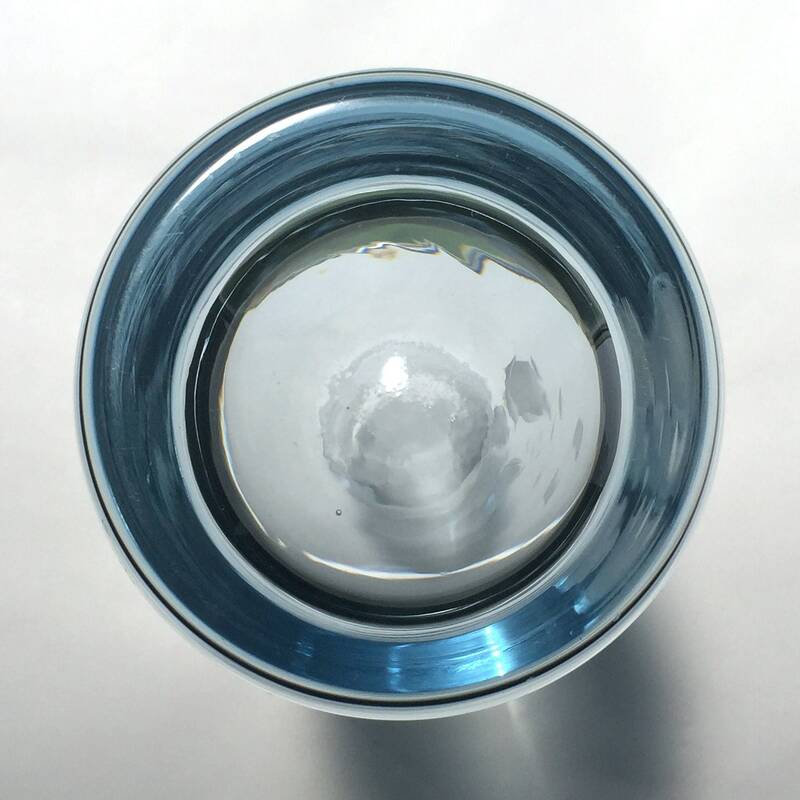 “Spesialkyrstall,” a blue shimmered glass created by adding 0.6 grams of cobalt to 150 kilo melt, was created in 1953/54. 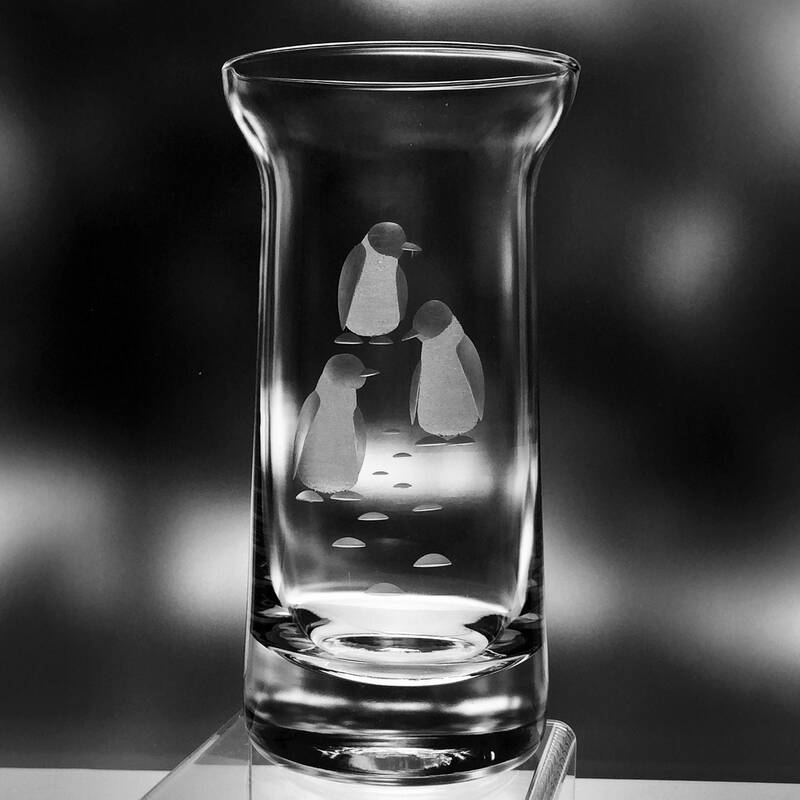 In 1967, Benny Motzfeldt began designing glass for Randsfjord. Work by other designers soon followed. 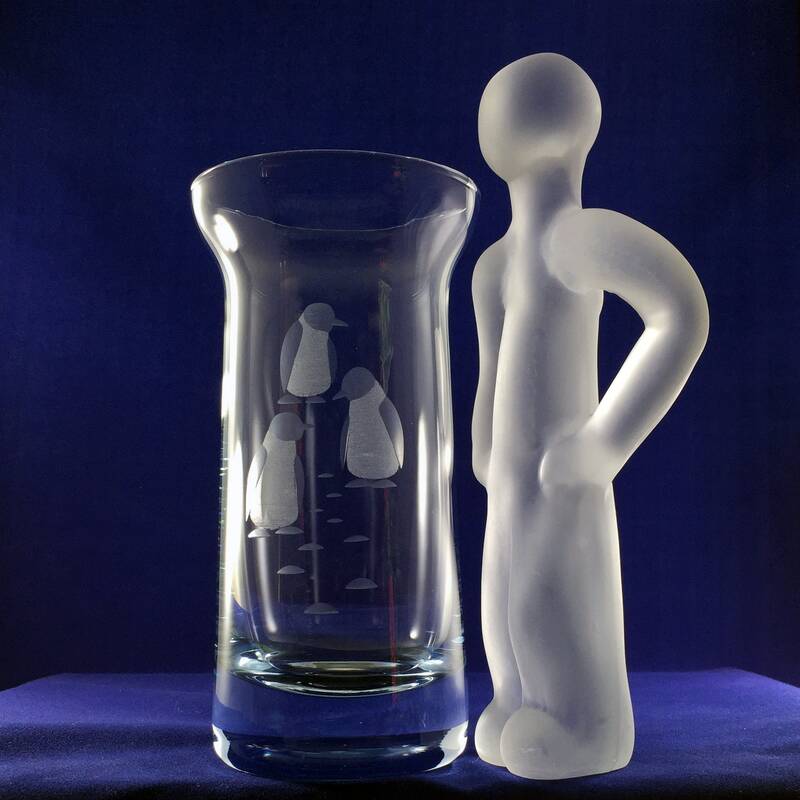 In 1997, Hadeland Glassworks bought the company and moved production to its plant. Hadeland Glassworks, founded in 1762, is the oldest industrial company in Norway that can claim continuous operation since its foundation. In later years, however, most of the production is done abroad. 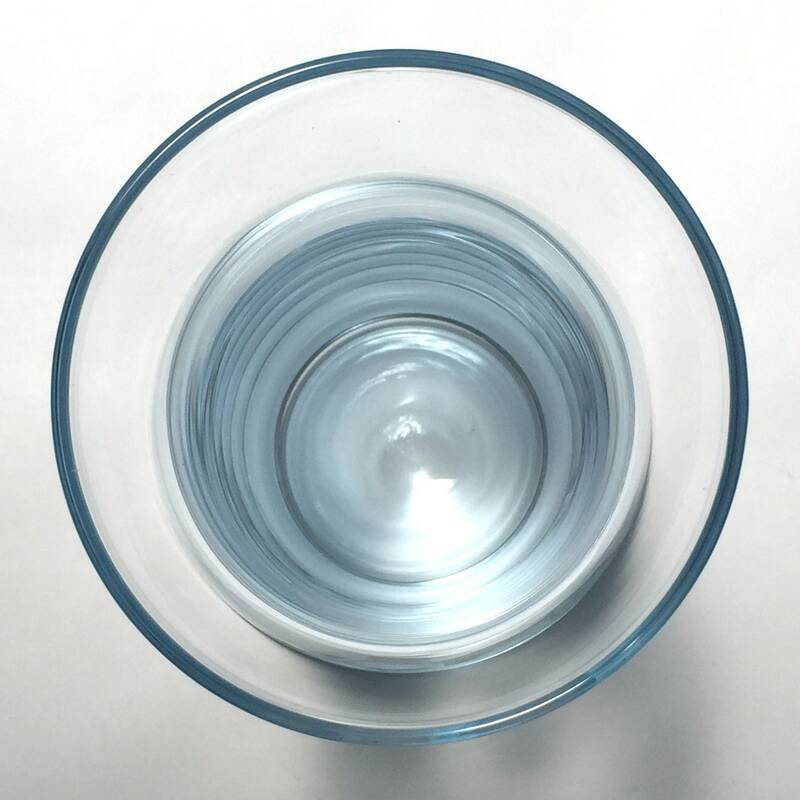 The glass works today represents an industry undergoing constant development, with an increased focus on cost-effective production, but also significant operations linked to the Visitor Centre. 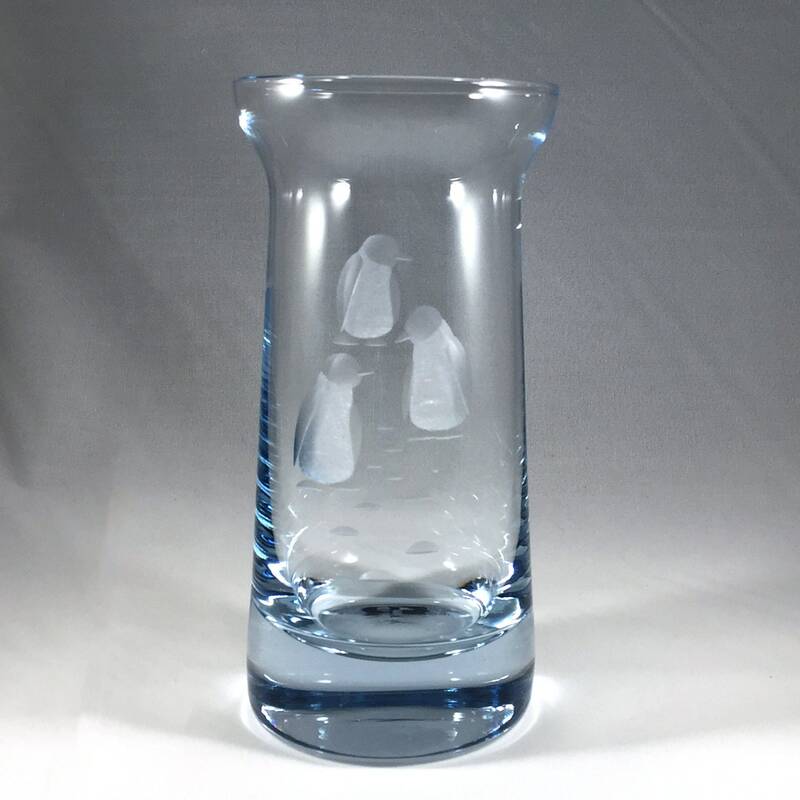 There is still a development section at the site and this, together with the option for visiting artists to make their own glasswork, makes a thriving environment for innovative ideas. 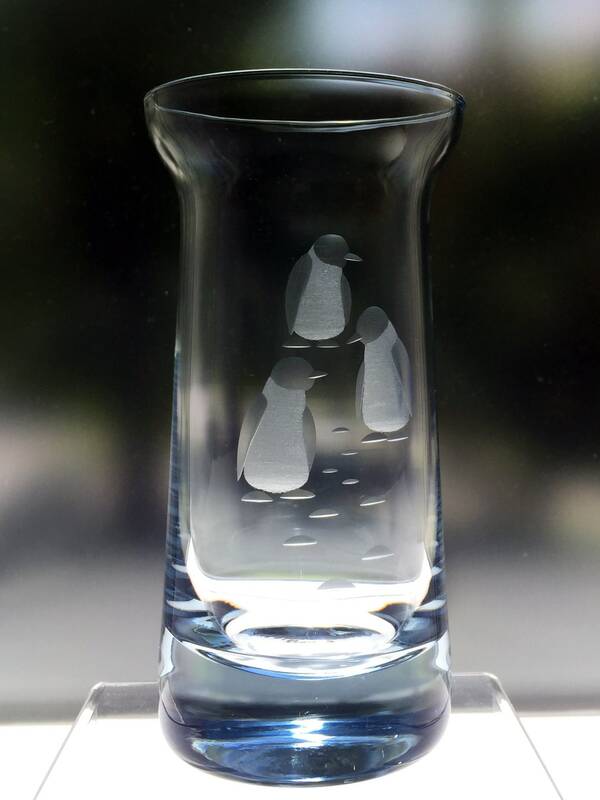 In May 2012, King Harald marked the 250th anniversary of Hadeland Glassworks.